Up until now, the United States has operated under a “fractional reserve” banking system. Banks have always been required to keep a small fraction of the money deposited with them for a reserve, but were allowed to loan out the rest. But now it turns out that Federal Reserve Chairman Ben Bernanke wants to completely eliminate minimum reserve requirements, which he says “impose costs and distortions on the banking system”. At least that is what a footnote to his testimony before the U.S. House of Representatives Committee on Financial Services on February 10th says. So is Bernanke actually proposing that banks should be allowed to have no reserves at all? That simply does not make any sense. But it is right there in black and white on the Federal Reserve’s own website…. The Federal Reserve believes it is possible that, ultimately, its operating framework will allow the elimination of minimum reserve requirements, which impose costs and distortions on the banking system. If there were no minimum reserve requirements, what kind of chaos would that lead to in our financial system? Not that we are operating with sound money now, but is the solution to have no restrictions at all? Of course not. What in the world is Bernanke thinking? But of course he is Time Magazine’s “Person Of The Year”, so shouldn’t we all just shut up and trust his expertise? The truth is that Bernanke is making a mess of the U.S. financial system. Fortunately there are a few members of Congress that realise this. One of them is Republican Congressman Ron Paul from Texas. He has created a firestorm by introducing legislation that would subject the Federal Reserve to a comprehensive audit for the first time since it was created. Ron Paul understands that creating money out of thin air is only going to create massive problems. 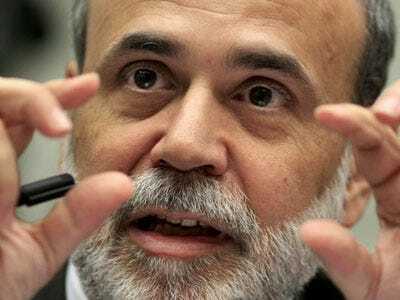 The following is an excerpt from Ron Paul’s remarks to Federal Reserve Chairman Ben Bernanke at a recent Congressional hearing…. The truth is that the financial system that we have created makes inflation inevitable. The U.S. dollar has lost more than 95 per cent of the value that it had when the Federal Reserve was created. During this decade the value of the dollar will decline a whole lot more. That doesn’t sound like a very good investment. But that is what happens when you give bankers power to make money up out of thin air. And things are only going to get worse. Especially if Bernanke gets his way and reserve requirements are eliminated entirely. The U.S. economy is a giant mess already, and we have got a guy at the controls who simply does not have a clue. It’s going to be a rough ride.